My grandma makes a version of these every Christmas and we fight to see who gets one (or more) before they're gone. 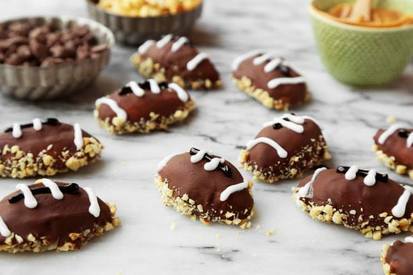 I turned them into a party-pleasing dessert for my husband and his buddies during football season. Note: make these on a full stomach or you may end up eating too many while you decorate.